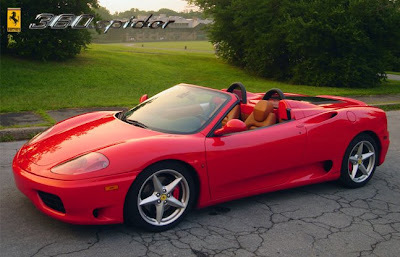 This beautiful car is a Ferrari 360 Spider. It will set you back around £120,000 new, so you really need to be a bank manager to buy one. Or a politician. Or both. The running costs can be quite high, but if the taxpayer is paying you an allowance, then it is easily affordable. And with summer almost upon us, what could be better than putting the top down and heading out for balmy Bexleyheath?